Mike Pompeo is heading for the EU’s eastern fringe — on a mission to make sure it’s looking west. That’s how senior administration officials present the secretary of state’s upcoming visits to Hungary, Slovakia and Poland — as a chance to counter growing Russian and Chinese influence in areas as diverse as energy and technology. If he wants to avoid further alienating Western European allies frustrated and bewildered by the Trump administration’s foreign policy, Pompeo will have to strike a balance between praising his hosts and addressing the concerns of their critics. Both Budapest and Warsaw are the subject of EU disciplinary proceedings, charged with putting the bloc’s fundamental values at risk, while Bratislava’s reputation has been badly tarnished by the murder of a journalist investigating mafia links that appear to reach into the heart of government. Pompeo visits Hungary on Monday before traveling on Tuesday to Slovakia and then Poland, where he will co-host a conference on security in the Middle East with the Polish government. The presence of Chinese telecoms giant Huawei in Central and Eastern Europe is an even bigger U.S. concern than its role in Western Europe, the senior official said, while also raising concerns about the role of Russia in the region. During his trip, Pompeo will discuss defense ties and push allies like Hungary to diversify their energy supplies away from a dependency on Russia. He is also expected to announce new U.S. initiatives for the region, including on combating corruption — which is seen as a pathway for Russian and Chinese influence, the senior official said. The visit is a boost for Hungarian Prime Minister Viktor Orbán, the enfant terrible of the EU, whose government has pursued Trump-like policies such as harsh opposition to immigrants and strong verbal attacks on reporters. 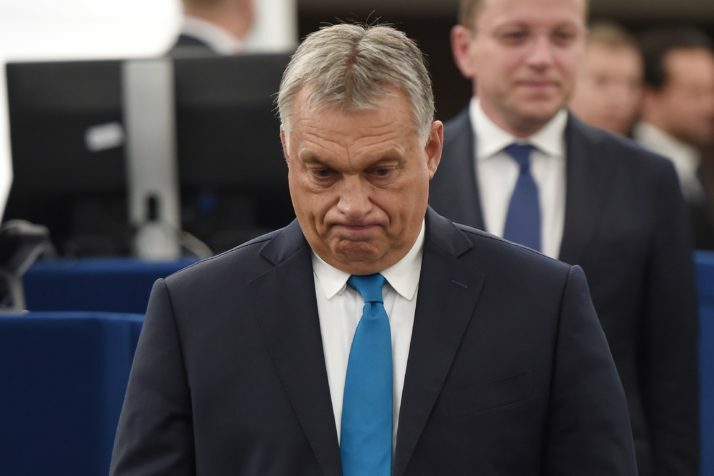 Earlier this month, American think tank Freedom House downgraded Hungary from “free” to “partly free” in its annual freedom survey for the first time since 1990, making it the only EU country to be categorized as partly free. For its part, Washington has been much less vocal in its criticism of Budapest on issues such as media freedom than it was during the Obama presidency. Under the Trump administration, there is “mutual respect” in the U.S.-Hungarian political relationship, Hungary’s Foreign Minister Péter Szijjártó told state media ahead of the trip, saying the visit is proof that Budapest is a “reliable” NATO ally. 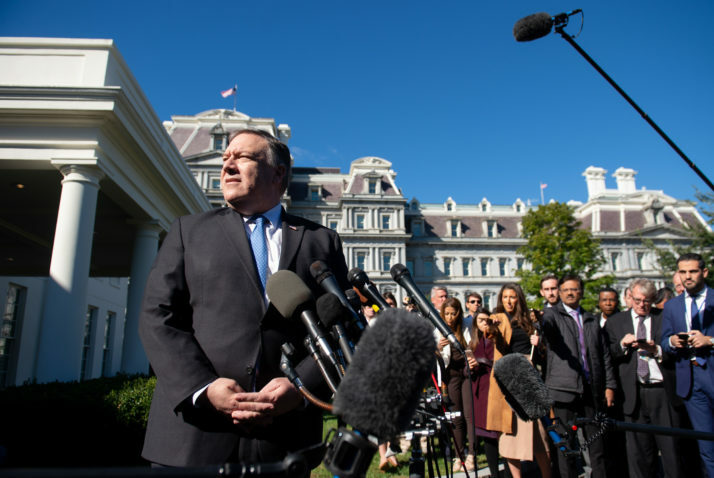 In a nod to Orbán’s critics, Pompeo will also speak with leaders of nongovernmental organizations, which have faced growing government pressure in recent years. Orbán’s opponents have also accused him of cultivating too close a relationship with Russian President Vladimir Putin, and Western officials have voiced concerns that Budapest is turning a blind eye to Russian intelligence activities on Hungarian soil. Last year, the Trump administration expressed rare public displeasure with Budapest over its refusal to extradite two suspected Russian arms dealers, whom it sent back to Russia instead. One State Department official expressed surprise that Hungary is being singled out for a visit by the secretary of state. “Visits are usually a reward,” the official said. The official said that while Budapest had sided with the U.S. by opposing the U.N. global migration pact and not criticizing the U.S. Embassy in Israel’s move to Jerusalem, it has not delivered on U.S. priorities, such as keeping the Central European University in Hungary, supporting Ukraine, and sealing a new bilateral defense treaty. While there are signs of progress on a defense deal, Orbán has refused to compromise on the university, which has been forced into moving its U.S.-accredited programs to Austria. And Hungary appears far from endorsing closer ties to Kiev. Orbán has accused Ukraine of violating the rights of ethnic Hungarians in the country to learn in their native language. Some diplomats say they suspect Budapest is using the issue as a pretext to prevent closer NATO-Ukraine cooperation, at Russia’s bidding. Like its Hungarian counterpart, the Polish government is taking pride at being singled out by the Trump administration, particularly as the host of the Middle East conference. “We were approached by the U.S. to act as co-host — we are one of the most pro-American nations in the EU and want to underscore that we should cooperate, especially in security issues,” said a Polish official, highlighting that not just Pompeo but also Vice President Mike Pence will be present in Warsaw. The Polish government’s critics have taken aim at the visit, however, accusing the leadership of cozying up to Trump — who is generally unpopular in Europe — when Warsaw is growing isolated within the EU. The government in Warsaw “will do anything to appear to be in the good graces of the U.S.,” remarked another State Department official. Although the remark came from an American, it was not intended as a compliment.